The Brazilian local reviews site Kekanto has expanded to Argentina, the company officially announced this week. The news doesn’t come as a surprise, as the startup recently received Series A funding from Accel Partners and Kaszek Ventures to support its regional growth. Still, this is a very interesting move; not only because Kekanto is joining the growing list of successful Brazilian startups that launched operations in other Latin American countries over the last months, but also because of the way the young startup is handling its expansion. Kekanto may still be young, but it has already gone a long way since its launch in 2010. Its social guide, whose name phonetically translates as “In which corner?”, has reached 3 million unique monthly visitors, with active communities in all major cities of Brazil. The startup’s fast growth caught the attention of Accel Partners, which led the round of funding that will support Kekanto’s expansion into Argentina, Chile, Mexico and other countries in Latin America. In other words, Argentina is just a start; we asked Kekanto’s CEO Fernando Okumura to give us more details about these new operations. AM: Why did you decide to start your expansion with Argentina? Fernando Okumura: We think Buenos Aires is one of the most attractive markets for a service like Kekanto. Its cultural life is very rich, and it offers a vast range of gastronomic options and events, which are our main verticals. We were also influenced by the fact that one of our investors is based there – [MercadoLibre‘s co-founder] Hernan Kazah, from Kaszek Ventures. 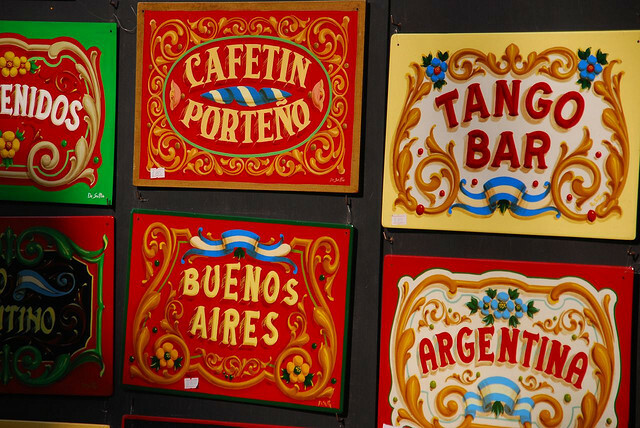 He has a great knowledge of the local market, and all of this contributed to make Argentina our natural point of entry into Spanish-speaking Latin America. AM: What differences do you perceive between the Argentine and the Brazilian markets, if any? Fernando Okumura: Every country has its own culture, and this is as true in Argentina as elsewhere. This is why it was very important for us to have someone on the ground – someone local, with a deep understanding of Buenos Aires. As a result, we hired Marina Ponzi to be our Community Manager and manage our local communications, with the support of Hernan Kazah. [As the founder of the networking event Ladies Brunch, Marina Ponzi is well known in Buenos Aires’ startup community.] She will spread the word about our site and organize events to build our community in Buenos Aires and give our site a ‘porteño‘ identity. The need for local staff has to do with the nature of our business. Not only is it local, but it’s also very fragmented, as each city, and even each neighborhood, have its own characteristics. In Brazil itself, we have noticed differences between a huge city like Sao Paulo, and smaller ones, like Curitiba. While users from Sao Paulo may trust reviewers they don’t know, people from smaller places tend to rely more on their friends’ opinions – so our social integration matters more in small cities. This is why we absolutely need someone with this knowledge in each city. As a matter of fact, our page is now live in Lisboa and Santiago,Chile, but we won’t consider we’ve launched there until we have community managers in those countries. AM: Did the fact that many Brazilians spend holidays in Buenos Aires drive your decision? Fernando Okumura: Tourism wasn’t a factor in our decision – our interest is to serve the Argentine market, and facilitate the daily lives of local users. We want Kekanto in Argentina to be a ‘Kekanto Argentina’. Still, the fact that many Brazilians travel to Argentina – and vice-versa – is a plus. Although we operate in different languages, automatic translation means that Brazilian users will be able to search for a restaurant in Buenos Aires. What’s really important is that instead of tourist traps, they’ll be able to find places that locals enjoy. Recommendations will be customized for each user, even if they search for a place in a different country – so if they like a certain type of restaurant in Buenos Aires, we’ll take this into account when making recommendations for Rio de Janeiro. As a matter of fact, we take customization very seriously – we want to offer relevant results to every single user. This means we take their preferences into account, because we build a personal profile based on the ratings they give to restaurants and other places they go to. This tells us a lot about each of our users – what kind of food they like, what level of prices they can afford, etc. Of course, we use this information to tailor our search results, but we also want to make recommendations – I’m convinced that proactive suggestions will be increasingly relevant.